“I speak Geek.” It’s the shorthand I use when attempting to describe my deep and abiding affection for Pop Culture. I come from a “Star Wars” family, yet have watched a majority of “Star Trek”; I know that “Doctor Who” is both a question and an answer; and I have played DND (even if my bard did end up sitting on her hands and singing show tunes because I was terrible at rolling a d20). I found out on Sunday night. Two days before the event was to take place. The event coordinators emailed me a list of questions that “Dan’s people” had reviewed and approved, but said I was welcome to come up with my own; I would have an opportunity to meet with Mr. Harmon before we appeared together on stage at the HUB. “Thank you very much for the opportunity!” I wrote back, my brain spinning wildly as I started envisioning the discussion. As a Communications Specialist, I was no stranger to interviewing, but this was different; this involved me talking to a man who was being hailed as a Geek-god, a comedy genius. Not to mention the fact that I would be conducting this little chat (55 minutes) in front of an audience full of fans. After having a moment (several moments) of self-doubt and panic, I decided to put my fear to good use and start preparing for Tuesday. Familiar as I already was with Mr. Harmon’s career, I found it useful to track down other interviews he had given. I wanted to ask him questions that were fresh and provocative, rather than ones he had answered hundreds of times prior. 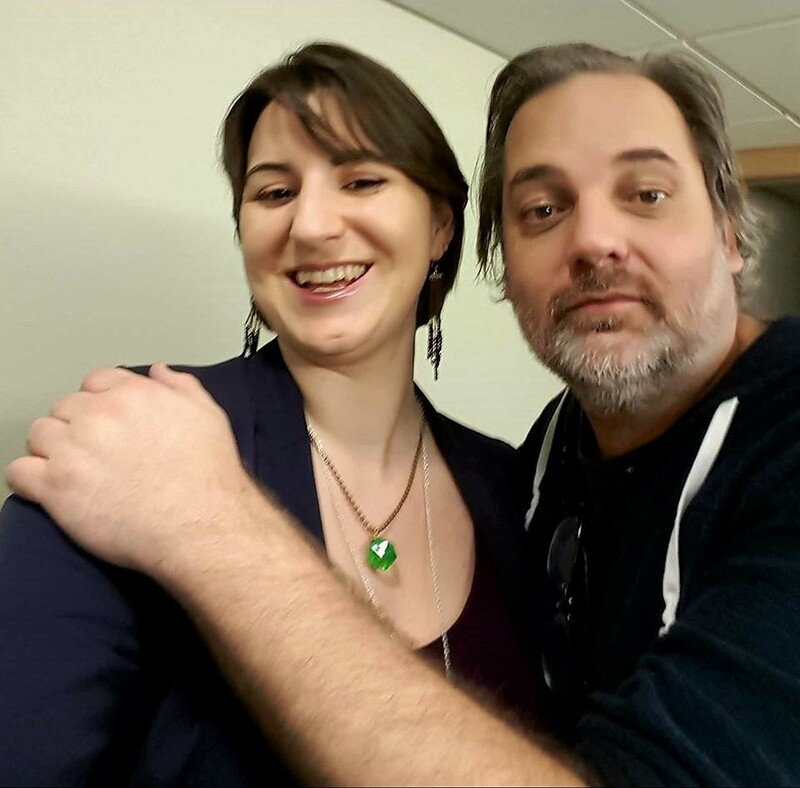 Through these interviews, I gained great insights into how Dan Harmon spoke and what sort of responses I could expect from him. I also saw that Mr. Harmon was a gifted and candid storyteller; as long as I asked questions that were comprehensive, I’d likely receive worthwhile answers. After drafting my questions, I next queried my Communication Leadership network on the art of interviewing before a large audience. As a student, I had watched the program Director, Hanson Hosein, moderate discussions on any number of topics. He always made it look so effortless, and I wanted to know his secrets. “Spend the first few minutes investing in your guest, ignoring the audience. They’re at their most patient and generous early-on anyway. DO NOT ask double-barreled questions i.e. why did you go to Paris and what did you like most about it? I also emailed Ross Reynolds (M.C., 2011), a fellow Communication Leader alumni and interviewing guru, as I knew his advice was invaluable. 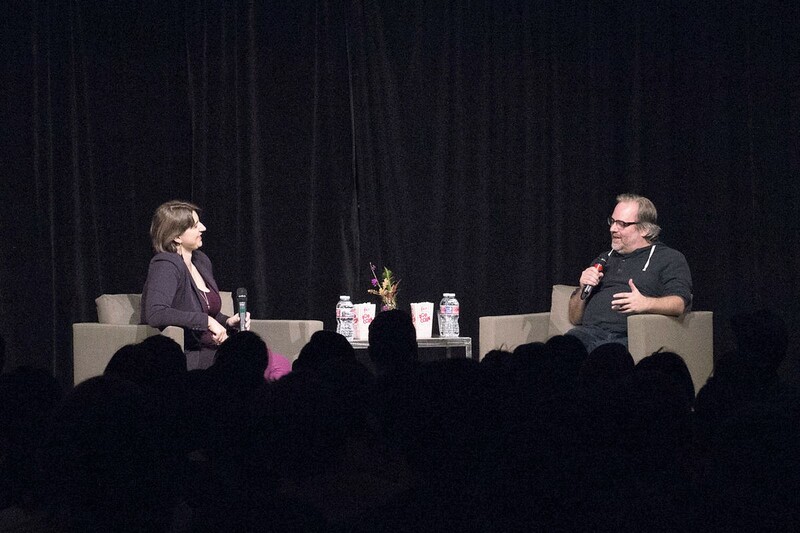 “Dan Harmon! That should be a trip!” He responded with a certain journalistic savvy (because of course, he was right). After reminding me to fact check my questions, he instructed me to “scrub any language in your questions that might include assumptions that Dan does not agree with.” Reviewing what I had written, I was happy to discover that I had avoided that pitfall (and continued to avoid it throughout the evening’s discussions). It seems obvious, but after reflecting on what Ross said, I realized how many uncomfortable interviews I had watched where the interviewer asked a question ending in, “isn’t that true?” only to then receive an awkward silence or angry “no, not at all” from the subject. I proceeded to geek-out for the remainder of that week.